Honor is the mid-range brand for Huawei, the world’s third-ranking smartphone maker. Huawei owns the largest share of its home market, China, which also happens to be the biggest smartphone market in the world. But China is now stuffed to the gunnels with phones. Growth has slumped. So Huawei is making a huge effort to sell into the outside world. And the odds are stacked against it. The United States government, suspicious of Chinese cyber-stealth, has taken steps to block Huawei’s entry into the US. The company is banned from government contracts. The major service providers—notably AT&T, reneging on its announcement of an official tie-in with Huawei—are shunning the brand. Huawei phones are only available in the US SIM-free. Europe is the beneficiary here, getting first class Huawei phones at very decent prices. The latest, the Honor 7X, arrived in the UK at the end of last year. It’s an impressive offering. THE HONOR 7X HAS THE LOOK and feel of a top-end smartphone. With build quality and industrial design this good, the phone instantly strikes a note of confident, unglitzy luxury. And I’m not just saying that because Huawei has donated a 7X to Tested Technology. To push its brand, Huawei gives away a lot of phones these days (at the Honor 7X launch in December, every journalist from across the world crowded into the Mermaid Theatre in London got one). So, full disclosure, the Honor 7X joins Tested Technology’s list of donated items. The question is, though—do you want one? Can I recommend this phone to you? First of all, let’s deal with this cyber-stealth issue that has spooked the Trump administration in the US. Our own government under Theresa May, sharing some of the same suspicions, oversees an outfit in Banbury called “The Cell”. As its official name—“the Huawei Cyber Security Evaluation Centre”—reveals, the staff there are paid by Huawei. But the governing body is independent and the entire operation is under the daily scrutiny of GCHQ. 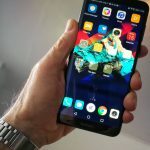 The Cell’s job is to sift through every Huawei product and component to certify that it does what it says it does and does no more than that. In the light of this, I personally don’t share the fears of the United States government that my 7x will be leaking my secrets to the Chinese. Or, more cautiously, perhaps I should say that I feel these Huawei phones are no more likely than any others to be spilling the beans on my private conversations and proclivities. Obviously, you’ll come to your own conclusion about this. The Amazon UK price for the version I have here—4GB of RAM and 64GB of flash storage—is around £260 with free delivery. You may have seen that in some other markets across the world the phone sells for the equivalent of around $200 US. However, that version has only 3GB of RAM and 32GB of storage. A comparison closer to home is with the Wileyfox Swift 2X, to which the Honor 7x bears a striking resemblence. The Swift 2X has the smaller 3GB-32GB memory configuration typical of mid-range smartphones, but both devices are equipped with very similar rear fingerprint readers. Another point of similarity is the SIM tray, they’re both hybrid dual SIM, with the option of substituting a microSD card for one of the SIMs. The 7X’s 5.9″ screen is larger than the Swift 2’s*which is only 5.2″. The Wileyfox offering has a simpler camera arrangement—only a single (but rather good) 16Mpx main camera as opposed to the 7x’s dual camera. But the Wileyfox scores over the 7X in two respects that I think are important. Its USB port is Type C rather than the Honor’s microUSB, and it has Qualcomm Quick Charge 3. Huawai has developed its own fast charge system, SuperCharge. Its higher end offerings, the Mate series, use SuperCharge, but the Honor 7x has to make do with regular charging. *It’s also slightly larger than 5.8″ screen of the iPhone X. 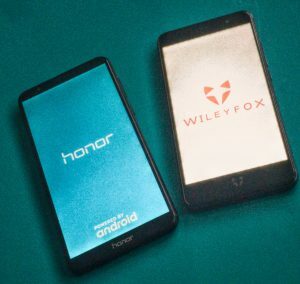 If you think 3GB-32GB is enough memory and storage for you (it probably is, and the storage can always be supplemented with a microSD card) and you have no particular hankerings for that nice large 7x screen, the Wileyfox Swift 2X might be a better choice. Particularly as (at the time of writing) it’s bundled with an Amazon Echo Dot for the total sum of £200. I should probably have begun by focussing on details of the 7X itself, but I’m unfolding this story the way it told itself to me. Of course, we journalists were drenched in specifications at the December launch, but it’s only when you get your hands on the product that its real message comes across to you. That’s when the presence or absence of particular technologies or features become meaningful. For me, the main message was that the era of the top end, so-called “flagship” phone may be coming to an end. Like the Swift 2X, the Honor 7X is, as far as its outward shows go, “flagship” enough for anybody. Internally it falls short. But in practically every way it’s a “good enough” phone that you won’t feel too reluctant to replace with a rather better “good enough” phone in 18 months time for the same price or less. True, it’s limited wirelessly to the 2.4GHz band, whereas flagship phones like Huawei’s Mate series offer 5GHz and 802.11ac. Lack of fast charging through USB Type-C (now that’s becoming standard) seems to me a Huawei oversight, but not one that’s a deal-breaker. The big screen with very small bezels is a distinct plus, and at this price I don’t fret too much that it’s not OLED or that it’s “only” HD rather than super-Quad whatever. 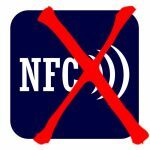 Unlike the Wileyfox Swift 2X, the Honor 7X misses out on near field communication (NFC). No Android pay, then. The Wileyfox Swift 2X has no gyroscope, physical or virtual, so will never work with Cardboard and similar apps. Unfortunately, later developments arising out of Cardboard—I’m thinking of FullDive VR and YouTube in 360 mode—behave on the 7X as if the gyroscope is missing. With these apps, as you turn your head, you should be able to pan across the scene, as well as looking up at the sky and down at the ground, with the panorama responding accordingly. LATE BREAKING NEWS FROM HUAWEI: according to the manufacturer, the 7X uses a “virtual gyroscope”. 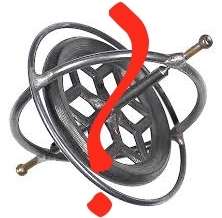 But sensor probe apps available from the Google Play store all seem to report the physical presence of a gyroscope. My Device from 3k Developers even names the manufacturer as InvenSense. A “virtual gyroscope” creates a synthesis of data from the accelerometer and the magnetometer (“compass” to you and me) to emulate an approximation to a physical gyroscope. This enables simpler Cardboard apps to work, but fails with more demanding VR apps like FullDive VR. You can verify this with the Android app Gyroscope Test from Nova Labs. If Huawei’s information is correct, it seems the virtual gyroscope behaves smartly enough to fool the sensor probe apps. But it fails to convince advanced VR. That main dual camera is also a bit of a puzzle. 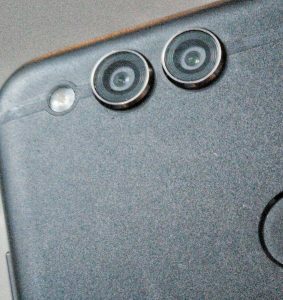 It’s very different from the dual camera in Huawei’s Mate 9 and P9: instead of one colour camera to provide the overall picture and a second, higher resolution monochrome camera to fill in the fine details (a Leica-branded technique which we previously investigated here), the 2 megapixel auxiliary camera on the 7X is simply described as “depth-sensing”. This is said to enable something resembling the “bokeh” effect of defocussed background that is normally a feature of large camera lenses opened to a wide aperture. But it doesn’t seem to me very different from the “portrait” mode offered by the single selfie camera on the other side of the phone. What is this low-resolution auxiliary camera actually doing? There are many different technical approaches to depth sensing cameras. The most comprehensive is Lytro. A Lytro Camera captures not only the intensity of each photon stream but also information about its exact point of origin in three-dimensional space. This involves passing the light rays through an array of microlenses far too large to fit into a shirt-pocket phone. Another approach is to use an infra-red projector to spray the field of vision with a grid of dots. These are invisible to the human eye but their bounce-back can be picked up by an IR sensor. The way the regularity of the two-dimensional grid is warped by the three-dimensional objects in front of the camera provides enough information to reconstruct the position of those objects in space. A three-component assemblage (IR projector, IR sensor, conventional camera) is small enough to fit a phone. A Bayer Filter is a mosaic of coloured translucent cells put in front of the essentially monochrome sensor array to enable it to calculate colour. The Honor 7X’s depth sensing is primitive by comparison. Huawei tells me it simply uses triangulation, like an old-fashioned rangefinder. You might think that because of its low resolution it can have no additional information to offer the main camera other than this. But in fact, the absence of a Bayer filter (it’s a mono camera) enables it to gather useful extra luminance data that can be fed into the final picture to improve edge definition and gradation. 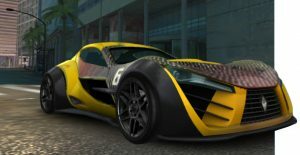 I’m not a great gamer, but I have already confessed in these Web pages to spending far too much time inside “Asphalt 8”. Usually on the excellent nVidia Shield TV. To avoid missing a day when I’m away from the Shield I’ve run Asphalt 8 on phones in the past. My Huawei Mate 9 does this well; others in the midrange not so much. Racing is a lot less fun when you’re having to work round stutter and lag. I’m delighted to report that the 7X turns out to be an ideal platform for Asphalt 8. Thanks to its 8-core Kirin 659 CPU, its Mali-T830 MP2 GPU and the generous 4GB of RAM the races run as smoothly as you could wish even with the graphics set to the highest quality. And, of course, the huge screen is an important asset here too. I haven’t, er, wasted review time exploring further. But third party reports suggest this applies across the whole range of games available in the Google Play Store. We can’t close the book on the 7X without mentioning EMUI, Huawei’s “Emotion User Interface”. It’s the look-and-feel launcher that Huawei is layering over Android on most of its phones. As far as I can make out, EMUI’s prime design goal is to spread an iPhoney aura over what the manufacturer perhaps fears may be an interface too stark and alien for its target customers. This iOSish mode by default eschews an app drawer and puts all the apps on the desktop. This is the “Standard Home Screen Style” but you can change this in Settings to the more Android-like Drawer Style that keeps your apps out of the way, concealed under an icon until you drag the ones you need most onto your desktop. To get to “Simple Mode” from “Standard Mode” you have drag down the notifications screen, find “Settings” and then go through “Advanced Settings”. “Simple Mode”, however, offers a big button that takes you straight to “Standard Mode”. If you’ve set up “Simple Mode” for an aged relative, say, be sure to remove the “Standard Mode” button unless you want to present your user with a tricky bread-crumb trail back home. Simple Mode looks rather like a first draft of Windows 10, with big coloured buttons and simplified icons. The system font by default becomes huge (you can tune this), presumably as an aid to old eyes. The 7X is delivered with an older version of EMUI, version 5.1 (the current Huawei flagships are running version 8). I’m not a huge fan of this launcher, and I’m not alone—by and large the press reviews have been negative. But it’s no big deal, in my opinion. Easy enough to replace it with another Android launcher. Nova seems to be the favorite, although my preference is for Evie, which is simple, clean and pretty close to stock Android. 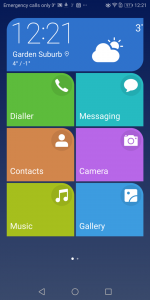 Download and install the Evie Launcher from the Google Play Store. Then look for it in Settings/Apps. In Evie’s App Info menu find Home App (by default this will be No). The submenu for Home App includes Default App Settings. Among the list of Defaults is Launcher. The default value is Huawei Home. Change this to Evie, read the dire warnings and accept the change. This is one hell of a lot of phone for around £260. Not a bargain for you if Amazon Pay is part of your routine, and one to avoid if you’re interested in exploring VR. The absence of smartcharging and USB Type C is frankly disappointing (cf. the Wileyfox Swift 2X). But if you’re in the market for a phone that looks good, feels great in the hand and has most of the bells and whistles you’d expect from a top-of-the-range flagship, the Honor 7X, at less than half the price, is waiting for you. My Honor 7 X Is a Chinese version that I ordered by mistake because I am Oldie person who knows nothing about modern thingies. However a friend who is my Guru managed as far as he could to getting it looking and operating as a UK version should apart from a few appearances of Chinese writing, also every now and then a Chinese ladies voice cuts in and says whatever she says and then disappears. Apart from that, I use the phone for calls, Texts and Photos as I would normaly. I am a pay as you go person . It sounds as if you have the phone working well enough to be useful for you. What you’ve encountered is typical of “grey imports”. There are certainly bargains to be had when you shop through these channels, but there’s also always some kind of risk involved. I suggest you ask your “Guru” if he knows how to root your phone and/or install a different version of the firmware. That might provide a complete solution.